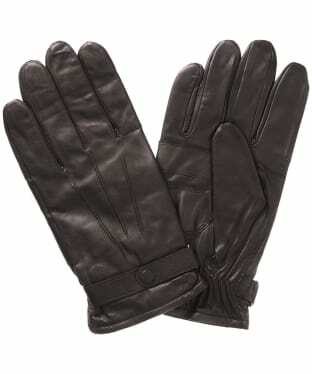 Channel a luxe like no other with our refined collection of men's leather gloves. Meticulous attention to detail and use of only the highest grade leather products is what sets our leather gloves compilation apart from the rest - focusing on fit and quality for a sophisticated accessory season after season. The natural characteristics of the leather and the unique variations in colour and markings gives each style its own beautiful individuality which is directly transferred to every pair of distinguished leather gloves, from driving to protecting your from the cold. We strive for the most perfect of fits each and every time, so you will always feel like your leather gloves were crafted especially for you. Discover the inimitable style for yourself or find the perfect gift for an oh-so stylish gentleman you may know. 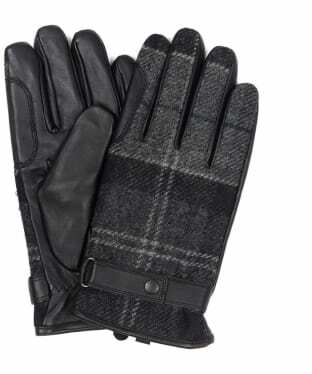 Add a touch of style to your winter look this season with the Men's Barbour Tindale Leather Gloves. 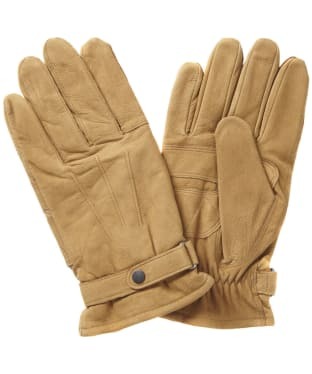 This stylish gloves offer you a rugged design you are bound to love, produced from A grade Goatskin with a full grain appearance, to give a stylish and luxury finish. For an added touch of practicality the Barbour Tindale is Waterproof and finished with a Berber fleece trim at cuff for added warmth. 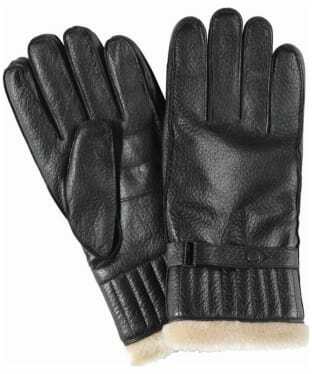 These men's Barbour Leather Utility Gloves are the perfect addition to your outdoor wardrobe. Crafted from fine leather, these Barbour gloves are durable without compromising on style. 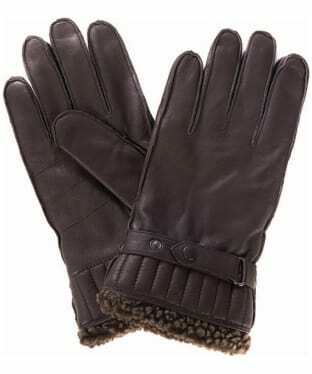 For added warmth, the utility gloves are lined with faux fur and feature an exposed cuff. Fine details such as a neat wrist strap with Barbour logo and expert top stitching echo Barbour's commitment to high quality. 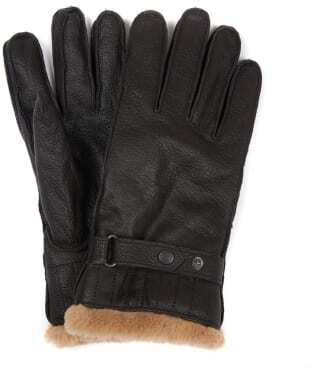 The Barbour Burnished Leather Insulated Gloves have been crafted from a fine, yet durable leather, maintaining Barbour's tradition of creating products that are high quality, practical, and made to last. These Barbour gloves offer insulation to protect you from the winter chill and feature a wrist strap and Barbour's iconic logo. Fleece lined for added comfort, the Barbour Burnished Leather Gloves are available in a sophisticated black or traditional dark brown. 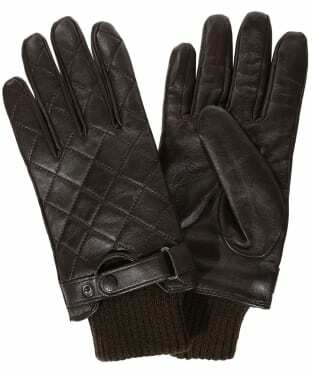 The Men's Barbour Quilted Leather Gloves are an absolute must if you're a fan of leather gloves and a certain Barbour flair. Truly unique in their construction, meshing Barbour's much loved diamond quilt stitching with a soft leather construction, and wrapped with an adjustable leather strap around the wrist for a comfortable fit. The glove is framed with ribbed knit cuffs for comfort and insulation, and would make an ideal choice for city travel or even a Sunday drive. 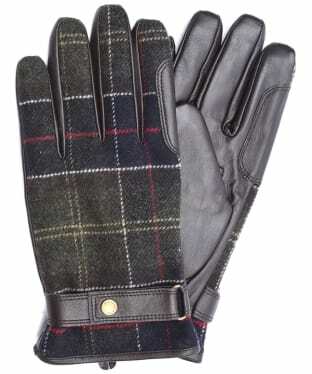 Add a touch of style and sophistication to your look with the Men's Barbour Newbrough Tartan Gloves, ideal as the colder days arrive this season. The Barbour Newbrough offer you a waterproof leather glove you are bound to love, finished with the Barbour Classic Tartan to the upper for an added touch of Barbour styling. 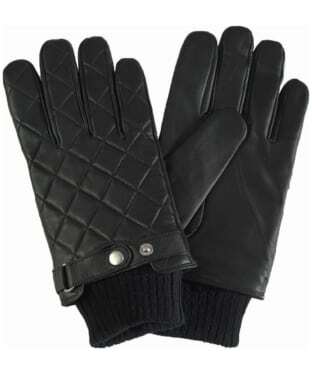 These stylish gloves feature a stud fastening strap at the cuff for an added touch of style and wearability. 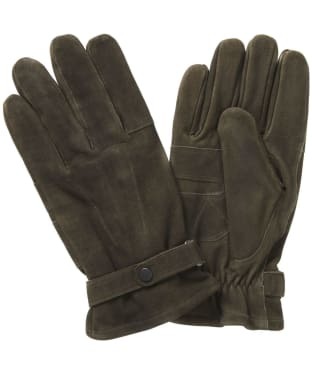 Crafted from a mix of leather and country look Melton wool for that quality Barbour feel, the Men's Rugged Melton Wool Mix Gloves are your perfect partner for those spent outdoors during the colder seasons. 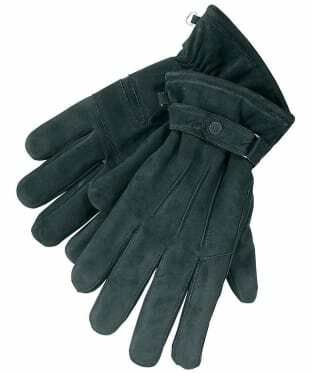 Sure to keep you hands cosy even if snow starts to fall, the gloves are fleece lined to offer the upmost warmth. With elasticated cuffs for ease of movement, the gloves are finished with signature Barbour branding for that added mark of style. 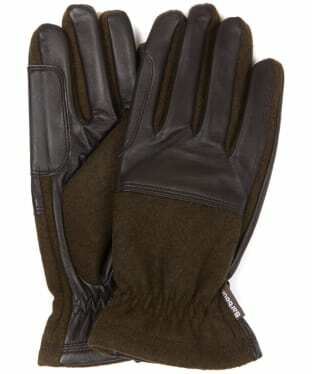 We think that the Rugged Melton Gloves make the ideal gift for yourself or a loved one.